It is NO secret around here that I love both handwritten cards as well as the post office. I try to write a card almost every day as I feel like its good for the soul and certainly blesses others! There is just something about putting kind words on paper and then sending them out to the world that makes my heart so happy. I recently found Hannah's website and fell in love with her heart for others. If you haven't checked out her site, you need to run on over there! 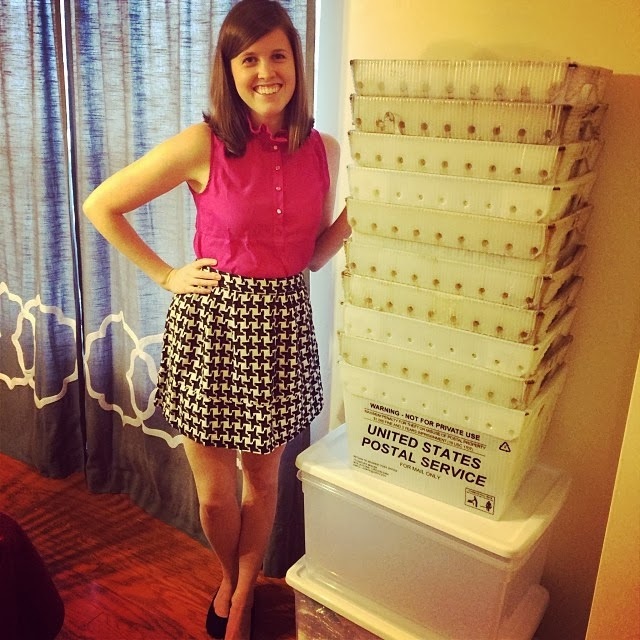 She started an amazing organization called The World Needs More Love Letters. It started as her writing letters to strangers in NYC, and then eventually grew to people emailing her letter requests for other people to receive cards. Every December they have 12 days of letter writing where they bless 12 strangers by having people write them cards as a means to send encouragement their way. Emma’s mother wrote us this request and now we are passing it along to you amazing people! She writes: “Emma is traveling through the teenage years and is finding herself struggling with the usual suspects of acceptance, body image, relationships, parents, siblings, and school success. After an amazing first year of high school, Emma is finding herself floundering and her usual coping mechanisms are not working, so she has engaged in some less positive coping mechanisms. Emma is a dedicated competitive swimmer and an awesome volunteer swim coach to young swimmers. Emma loves music. She is a writer with two NaNoWriMo novels under her young belt. She needs to know how important she is to her family, her friends, and her swimmers. She needs to know these trials of the teenage years are not permanent and she will make it through. She needs love.” Pick up your favorite stationary and script out a letter for Emma! I'll be writing a card to Sweet Emma and would love if you would join me as well!